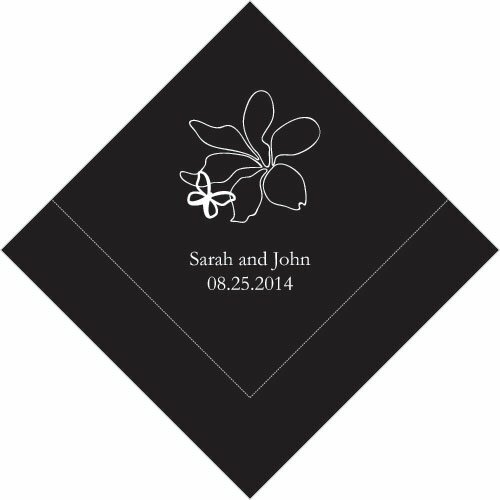 A graceful butterfly and abstract flower are the perfect design for a spring wedding, shower or other event. 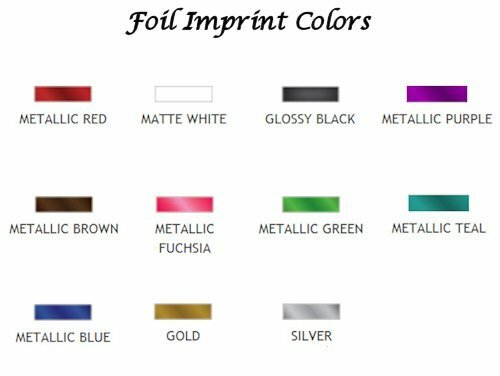 The ideal finishing touch, choose from a large variety of colors to match your decor along with your names and date in your choice of foil colors. 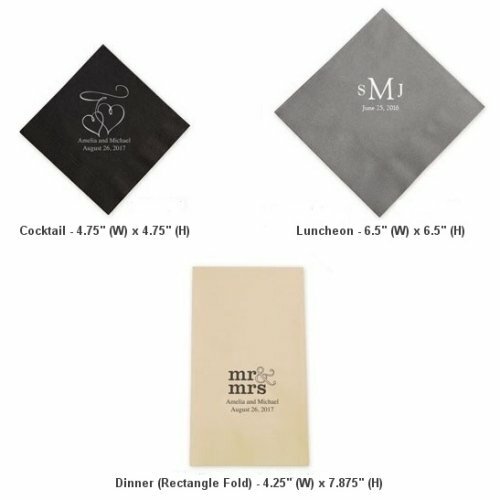 Three ply napkins come in sets and are available in three sizes so you can order the size or sizes you need for your party. 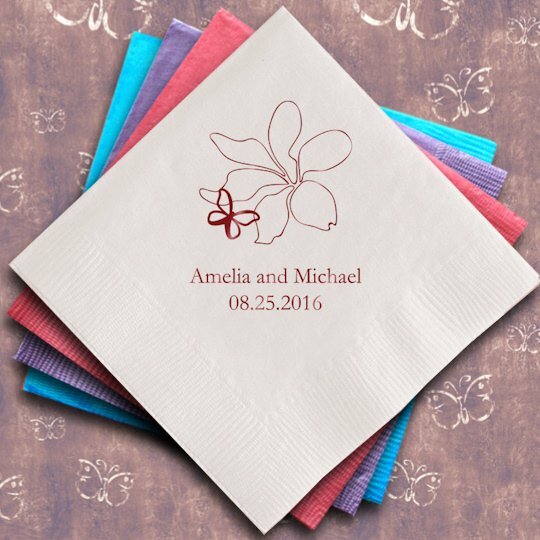 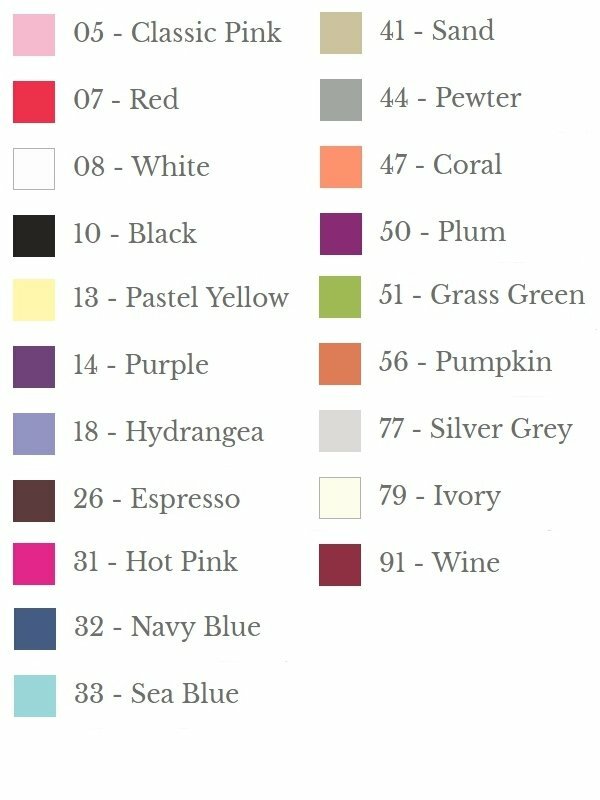 They make a great finishing touch to tie your party colors and theme together.